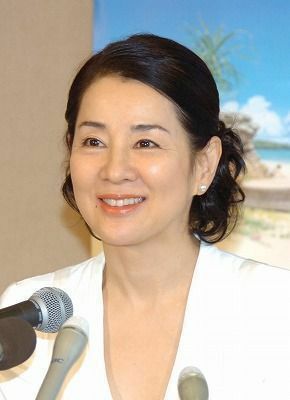 On August 8, the August 23-30 issue of the weekly magazine Jyosei Jishin hit shelves, containing a printed discussion between actress Sayuri Yoshinaga and political scientist Sang-jung Kang concerning construction of new helipads around Takae, Higashi Village, The topic of their discussion is the prevention of a new pre-war period. Through the dialogue, they touched on execution of the security legislation, citizens’ movements, Article 9, and abolition of nuclear weapons, among other things. Kang pointed out that, “[The government] is forcefully suppressing Okinawans who are opposing construction of U.S. military helipads in the community of Takae, Okinawa.” In response Yoshinaga said, “I wish the people of Okinawa, who have had experiences so painful that they cannot be expressed with words, would be treated more humanely.” Both wished that the Japanese government would treat Okinawans opposing helipad construction more like people. The discussion on prevention of A New Pre-war Period between Yoshinaga and Kang is available to read at the web magazine Ryukyu Shimpo Style (Japanese only).